Our panel of experts share their ideas on how contact centre advisors can improve the overall customer experience. Active listening is fundamental to delivering a great customer experience. Sometimes an advisor’s strict adherence to a script can indicate that he or she isn’t listening to the customer. As a result, the advisor’s responses seem to bypass common sense and cause anything but customer delight. So, giving advisors the freedom to act with common sense and not stick rigidly to a script regardless of the customer circumstances, can deliver quick wins with customer satisfaction. For example, if a customer who has not had their problem resolved is asked: ‘Is there anything else I can help you with today’, it is likely to be met with a negative response. 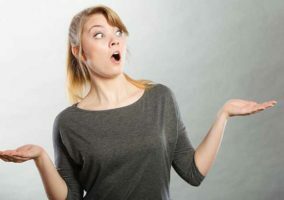 Unsurprisingly, this lack of common sense is likely to increase dissatisfaction, as the customer hasn’t been helped yet. It’s important that advisors understand the impact their tone has on improving call outcomes. Research shows that the tone in which a message is delivered represents 38% of the way the message is received. As call centre interactions usually don’t benefit from being able to see body language or facial expressions, tone becomes the biggest contributor to the way a customer (and the advisor) feels the call is going. Consequently, it’s important that advisors understand the impact their tone has on improving call outcomes. To get this message across, try providing advisors with a list of empathy statements that help improve customer–advisor rapport. Or you could create your own using interaction analytics to detect words and phrases which customers seem to respond well to. 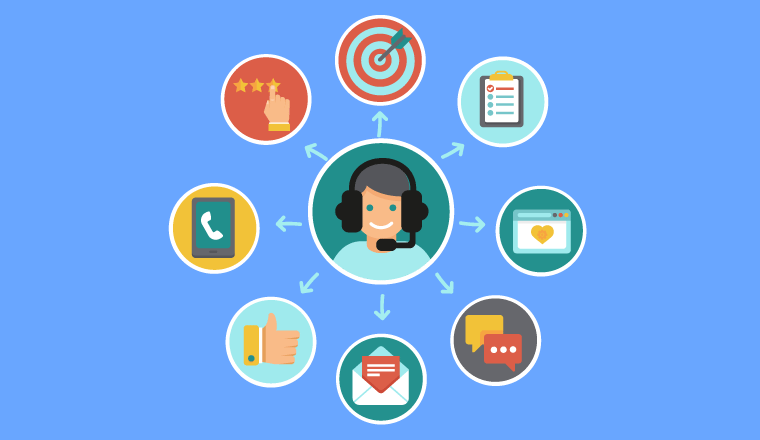 Having your advisors focus on making sure that customers leave the call feeling happy – rather than concentrating on efficiency metrics such as reducing the call duration – may help to improve the customer experience. The reality is that many advisors will have to deal with customers who arrive in a negative frame of mind. So, employing systems that give advisors easy, and timely, access to all the information required to resolve customer queries, can help to achieve a successful call outcome. The truth is that nobody likes being put on hold during calls or listening to silence. From the company’s point of view, long hold times or excessive silence can lead to higher operational costs, as well as customer dissatisfaction and churn. While there are some processes that can’t be eliminated, advisors can be prepared to handle the most common topics. With the right facts at their disposal, advisors can ensure that they don’t keep customers on hold unnecessarily, or that there is an excessive silence while they try and find the information required to resolve the issue. So, consider updating and reviewing your knowledge-management system or asking advisors to tell the customer what they are doing, if they have to look something up, for example. Some customers choose brands because they share their values. It is therefore crucial that advisors ‘walk the talk’ when it comes to delivering on identified brand values. For example, if brand values include treating customers fairly or ensuring existing customers always get the same offers as new customers, advisors should always try to maintain these values. The advisor’s performance can then be measured against these criteria via quality monitoring or an analytics solution. This will help make brand values an embedded part of your advisors’ evaluation process. Including these criteria on a personal scorecard will enable advisors to determine how well they are doing at delivering on brand promises. If the advisor knows that the customer won’t be happy, because they wouldn’t be happy, it is important that they take ownership to deliver a resolution, to avoid a repeat contact. So, try and engage advisors with their own development. A one-to-one should be a great opportunity to do this, even if it’s just KPI discussion, with no context around progression. Do what you can do empower advisors, give them the time to review how a call went, to realise if they wowed the customer. Ask advisors to question whether they made things easy to understand and if the customer left the call clear and confident as to what would happen next. If they can honestly answer and think ‘no I didn’t’, ask them to reflect on how the situation could be handled differently and to speak to their colleagues about what they do. Try to help advisors use that feedback to make the next call better and to improve that customer’s interaction with your company. Advisors should be brave when discussing issues with managers, as it is they who are hearing the customer’s emotions and it is they who are closest to the customer’s issues. Advisors are the best representatives for customers. So, encourage advisors to be brave when questioned over why their calls are over the Average Handling Time (AHT) because they are solving a customer’s issue. Teach advisors to be brave when breaking a rule, but never a principle, as that’s how you deliver excellent customer service. Ask them to challenge the blockers that sit between them and an excellent experience for the customer. But also encourage advisors to bring solutions as well as problems. Everyone knows how they like to be treated on a call. If the contact centre is pushing scripts or methods that are known to deliver poor customer experience, it can be helpful for advisors to say so. And when they do, tell them “don’t stop there!” Challenge advisors to come up with how they would change the issue, focusing on what they can influence, not what they cannot. Allowing advisors to self-evaluate enables them to critique themselves and personally identify their improvement opportunities. So, when you have a traditional Quality Assurance (QA) analyst fill out a quality monitoring form, you can also have an advisor fill out a similar from, to see how they compare. Get down with your advisors and talk them through: where do you think that you need to be coached? Do you see some difference in how this QA specialist filled out their form versus the way that you saw the call yourself? 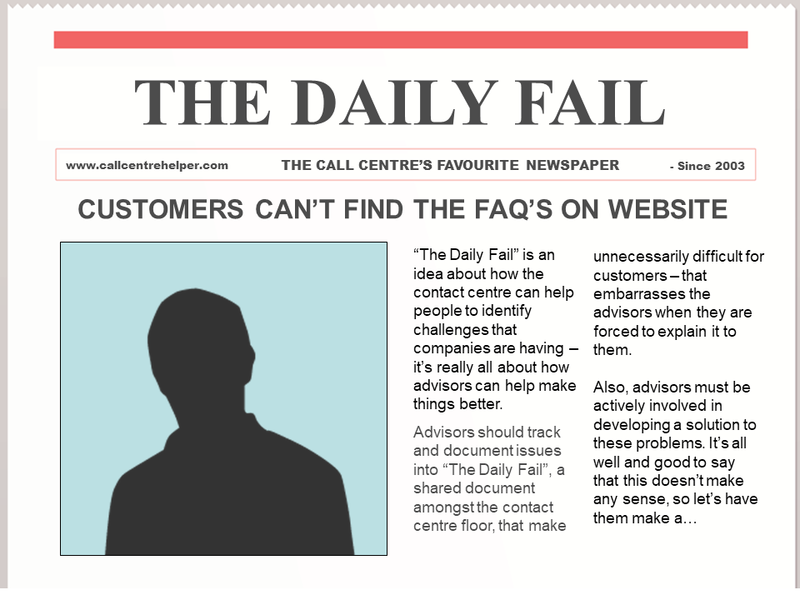 “The Daily Fail” is an idea about how the contact centre can help people to identify challenges that companies are having – it’s really all about how advisors can help make things better. 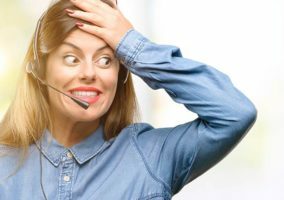 Advisors should track issues that make life unnecessarily difficult for customers or that embarrass the advisors when they are forced to explain it to them and document them in “The Daily Fail”, a document shared amongst the contact centre floor. Also, advisors must be actively involved in developing a solution to these problems. It’s all well and good to say that this doesn’t make any sense, so let’s have them make a contribution to how we fix it and also give them the option to deliver the good news to the customer. Advisors are looking for additional opportunities, but they really do want to do more. And, with this omnichannel world unfolding, there really are things that they can be doing that are beyond just answering phone calls. While there are challenges in ensuring that an advisor is just as good on one channel as another, their willingness to do that is something that contact centres have to recognise and give them those opportunities. It’s all about offering advisors enhanced job responsibilities. Advisors want to do more, they want to take on more things. So, giving advisors the opportunity to do some shadowing is a good idea to help them get an appreciation of what’s going on. This could help team cohesion and enthusiasm to do more in terms of improving the customer experience. Customers expect a swift first call resolution to their query, without having to repeat themselves several times to different people. And sometimes customers would prefer the effort of communicating with the contact centre was avoided all together. So perhaps advisors could be encouraged to create “how-to” videos, which can be posted to the company website, to help customers with common repeat contact issues. If your contact centre shows the advisor the score that the customer gave them, they can self-learn strategies of lowering customer effort. One particular area that makes a huge difference to the customer experience is ensuring that advisors are confident when using systems. For example, if an advisor is adept at both inbound and outbound campaigns, the contact centre has the ability to blend calls to improve speed of service during busy times – so if one campaign is quiet the advisor can switch activities to another with higher demand. Advisors could also be trained to help with multiple query types across all channels too, so customers don’t have to be passed around. This insight can be very useful when reviewing and updating processes and requires much less effort than holding board meetings with senior management or sending out surveys to the customer base. Another alternative would be to use interaction analytics to indicate problem areas in your company and/or customer service. This can include mentions of competitor names, pricing, and language typically associated with customer dissatisfaction. Customers want to speak to good listeners that hear the problem the first time. Listening to customers is the obvious first step in ensuring that the company knows what they want, and making sure it can give it to them. It is exhausting to tell the same story repeatedly; no one likes to repeat themselves. 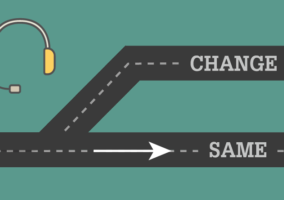 Customers want to speak to good listeners that hear the problem the first time. When “Let me transfer you” turns into “Can I have your account number?” for the third or fourth time, the advisor has failed to achieve good communication in your relationship. To avoid low customer retention, implement a system that logs customer issues across all channels and shares the details with all relevant advisors. Track the progress of customer cases and allow your company to collaborate on solutions. The most important thing an advisor can do is to self-assess. So try to give advisors the time to review their interactions and consider how to improve performance in these specific areas: the greeting, your diagnostics, any complaint handling, the call close or any other area. Advisors should also remember that true empathy isn’t chatting about the customer’s holidays. It’s about getting on their wavelength – if they are in a hurry, be quick. If they are chatty, respond. Don’t forget that you, as the advisor, are closest to the customer and your view is critical. The feedback you can provide on the latest trends could be very important for improving the customer experience. Part of our strategy for 2018 will include contact centre advisors being part of the design and creation of training material, coaching forms/templates. This way, we get feedback from those who feel the customer pain points and know what customers like. We developed a team of advisors that were designated “Quality Ambassadors”. This was a team we could use as a focus group for anything related to quality assurance, such as changing criteria, implementing new programmes and so on. Healthy competition between advisors can help to boost the customer experience, if motivational games are well used. We have designed our customer service course as a gamification course, so this behaviour is established right at the start. Through the game they are awarded points and at the end awarded Silver, Gold or Platinum Customer Service Advisor awards! It is so successful and rolled out globally. Motivated advisors are usually the type that will want to go the extra mile for the customer. However, it is up to senior members of the team to try to maintain that enthusiasm. To do so, we have a thank-you board where we put comments on heart-shaped sticky notes (it does make a difference what shape) on a board and review monthly. Similarly to The Daily Fail, we have a scheme called ‘Ideas Champion’ where we award advisors for providing their suggestions on improvements that can be made or a process that can be introduced/changed that could benefit the company. Any suggestions are welcome, whether they streamline a process, make it more efficient or improve the customer journey. It doesn’t have to be related to our department, which means they feel more connected to the rest of the company, but also feel valued for their ideas. This is mutually beneficial to the company as we get to utilise the skills and ideas of employees that we may not get otherwise. Can you think of any other things that advisors can do to improve the customer experience? If so, please leave your suggestions in an email to Call Centre Helper.